Are you treating your business page like the inbound marketing channel it is? Real estate agents have no idea how to actually generate leads on Facebook. None. They focus on getting likes on their page. They focus on the shot gun approach … someone else is “boosting their posts” so that’s what they do. Someone else is running a page ad targeted towards a specific ZIP code, so that’s what they do. They treat their page like it’s a “branding” brochure. They try to figure out the best type of post to put on their page. The ultimate “silver bullet” that solicits any type of engagement. Yes, yes I did. I’ll say it again: Facebook lead generation is NOT about post boosting, name recognition, getting likes or engagement. Facebook lead generation is a single aspect of inbound marketing. It’s about inbound marketing. Inbound. Marketing. Real estate agents are so busy trying to mold Facebook to work using old outbound marketing techniques that they are blinded to how valuable Facebook can be for their real estate business. They’d rather argue about how real estate agents shouldn’t outsource their social media. They’d rather argue that engagement is the sole reason any real estate agent should be on Facebook. They’d rather argue that they are getting more leads on their personal profile than on their business page. They’d rather argue that their Facebook business page is their way of “nurturing” their leads. We are so sequestered within our industry that we refuse to see how other industries are very successfully using Facebook to generate leads. In order to successfully generate quality leads on Facebook, you must treat your Facebook page like the inbound marketing channel that it is. Stop trying “shotgun approaches” that other agents (who don’t know what they are doing) are recommending. Stop thinking that just because it’s only costing you a couple of dollars a day to advertise it’s OK to not worry about wasting that money. Money is money. Frankly, I’d rather spend a couple of dollars a day and get leads than spend a couple of dollars a day to get a conversation going on a post. One is a trackable focus. The other is simply a benefit. For a couple of dollars a day, a real estate agent who understands inbound marketing can bring in dozens and dozens of quality, targeted leads into their email database that they can then strategically nurture and convert into closed clients — leads that they can engage in deeper conversations than any Facebook page will endeavor to support. I’ve got agents bringing in well over 100 highly targeted leads a month into their email database because they’ve leveraged their Facebook presence using inbound marketing techniques and refuse to listen to the typical shotgun approach most agents are doing on Facebook. In some cases, you’d never know it because they don’t have hundreds of “likes.” Their pages aren’t “perceived” as successful. If you are a real estate agent and you plan on using the Web to build your real estate business, you must realize that you are now in the business of online marketing. You are now an online marketer. In fact, you are now an information marketer. You are not just simply a lead generator. Run a highly targeted ad, using Facebook’s Power Editor, focused on website conversions. The ad should have a strong call to action and drops the lead right into a sign-up form on your website. Run a highly targeted ad, using Facebook’s Power Editor, focused on page “likes.” DO NOT ask your colleagues, vendors and other people who are so wholly disconnected from your target market to like your business page. Just don’t do it. Use the “real estate space” on your Facebook business page to run highly targeted call-to-action campaigns that drop the leads right into a sign-up form on your website. Post significant, relevant, valuable content on your Facebook business page AT LEAST three times each day. At minimum. Four to five times is much better (including in the middle of the night). 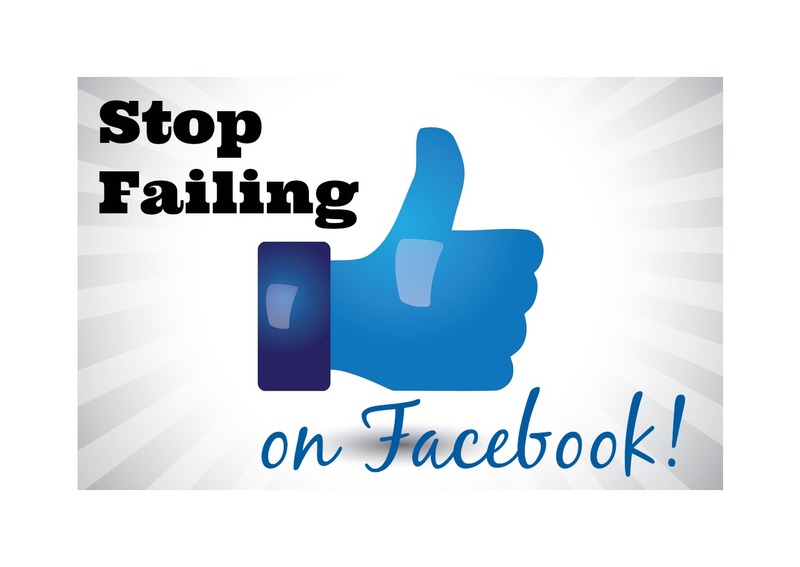 “Sell” yourself, including your listings and testimonials no more than once every three days on your Facebook business page. This does not mean do not promote your blog posts. It means do not promote listings or testimonials or the proverbial “use me” posts so commonly seen on real estate agents’ Facebook pages. Not blatantly anyway. Learn how to do it by providing value. Post a variety of types of posts. Stop following the herd and posting only photo posts. Post every type you possibly can. All the time. People respond to different things. Be different things. Always keep your No. 1 goal in mind: Everything you do on Facebook should be totally focused on getting people into your email database. Be helpful. Answer questions. Provide value. Your highest value should be in the content you provide to those who have committed to you via your email database. How are you generating leads on Facebook? Christina Ethridge is the founder of LeadsAndLeverage.com, helping real estate agents capture, convert, and close Facebook leads.